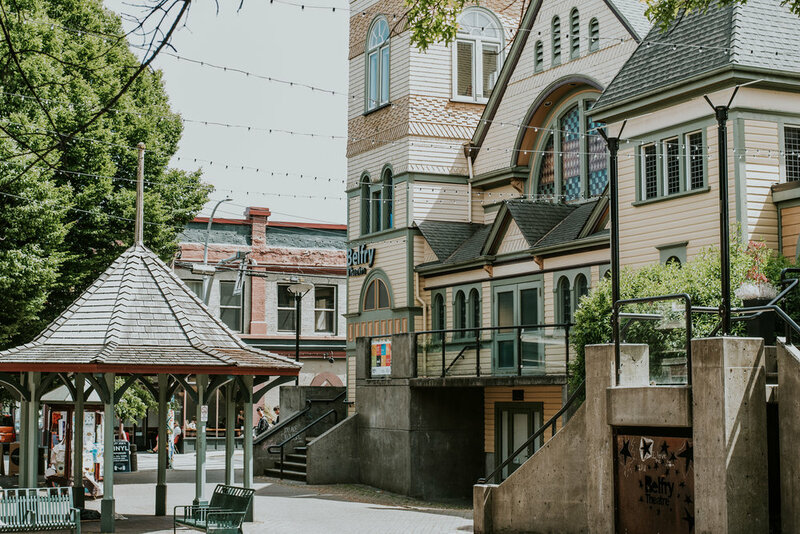 Fernwood is our stompin' ground and we love it. It's a beautiful neighbourhood full of fabulous houses, artists and tons of character. Fernwood Square is the heart of it all, located at Gladstone and Fernwood Ave. and anchored by the Belfry Theatre. 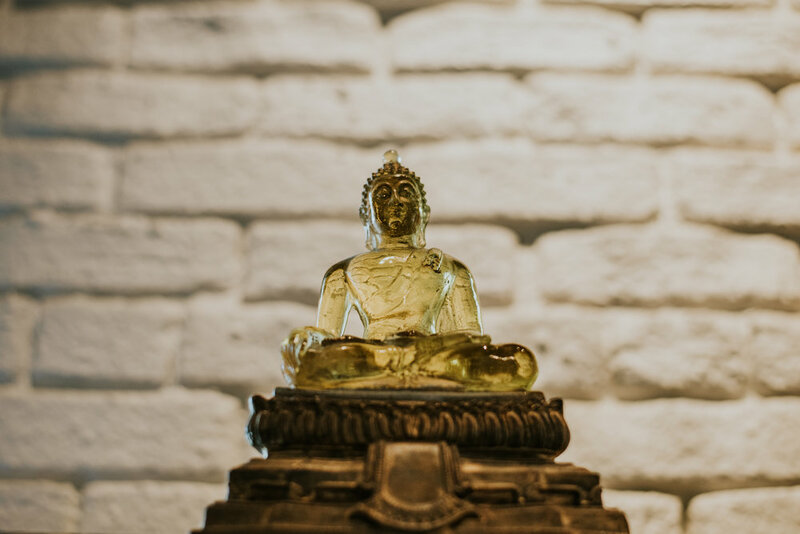 There you'll find a great selection of delightful shops and amazing restaurants to visit. 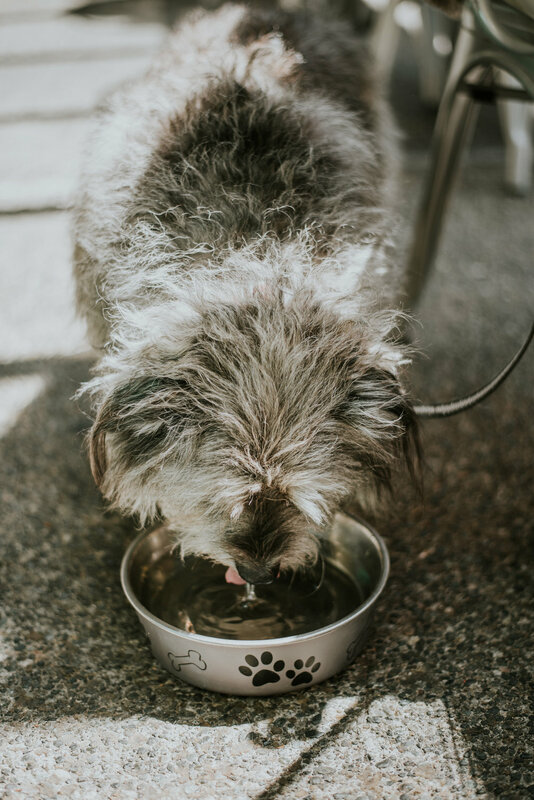 We walk through the square on a daily basis so we thought it would be fun to have a leisurely stroll, pop into some dog friendly shops and have a bite to eat in the sunshine. Rupert loves adventures with his nanna, and her birthday is on Monday so he thought it would be a lovely treat. Our first stop was Luna Collective (2000 Fernwood Rd). A beautiful little shop at the corner of the square. 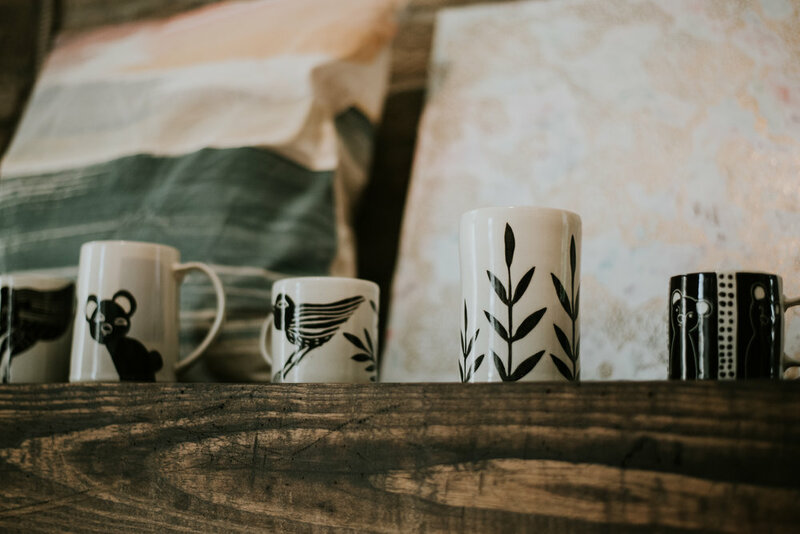 It's filled with vintage pretties and wonderful things created by local artists and designers. 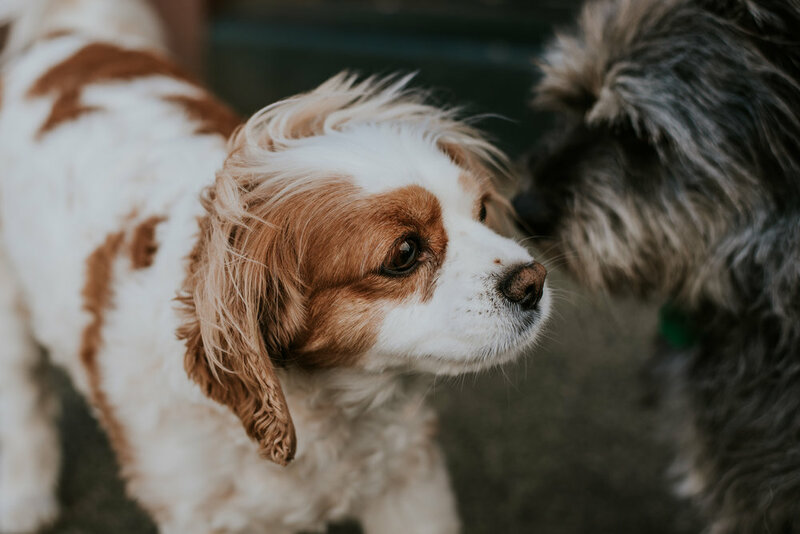 "I think being a pet friendly business is an important part of connecting with your community. 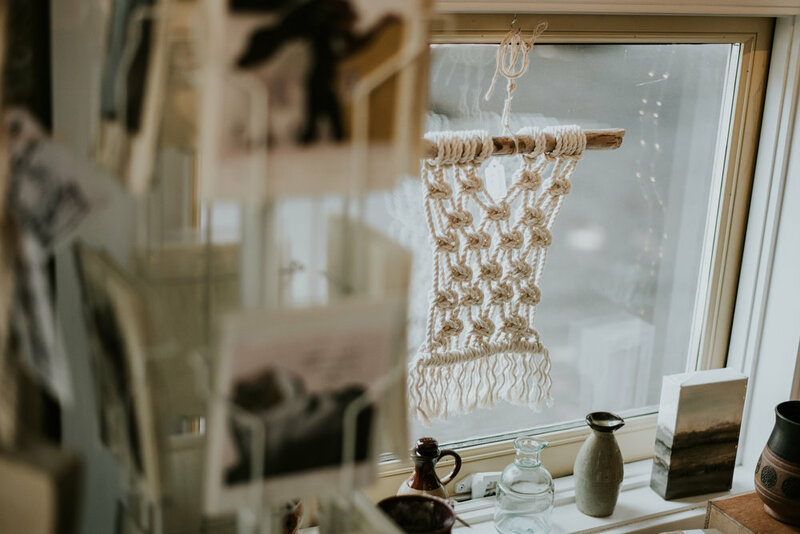 I am so happy to have my shop in the vibrant Fernwood Square, and part of what makes the square so amazing is the people and animals that I see and meet every day. 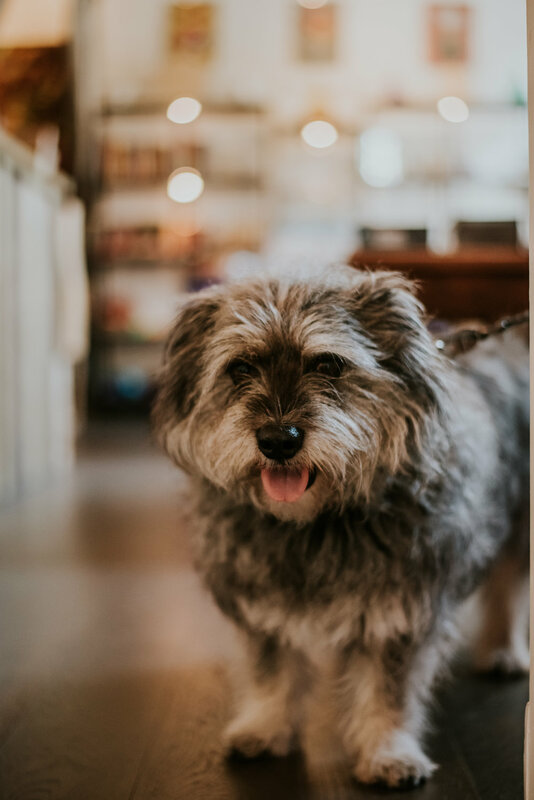 I wan't pet owners to feel at ease knowing that they can pop into the shop while they are out and about with their furry friends, and that they will receive a warm welcome in the shop. 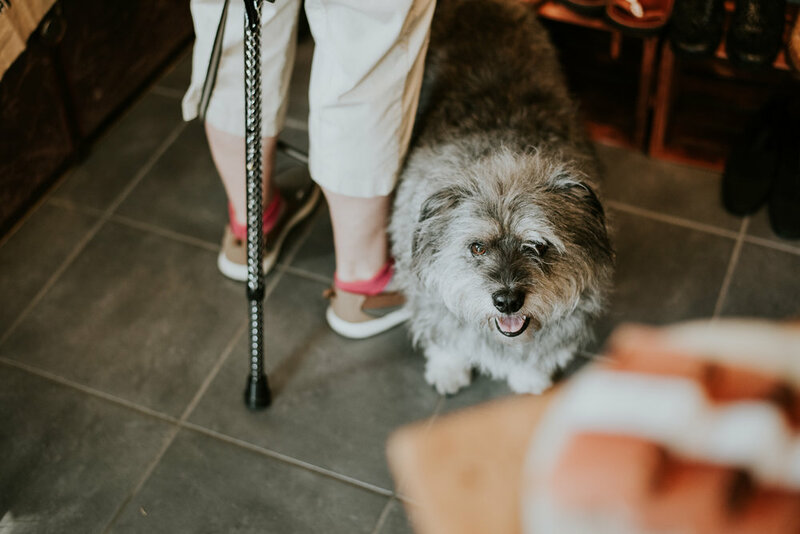 I love connecting with my customers, and meeting their animals just makes it even better!" "I have met a lot of really lovely pets in the shop, but the most memorable would be Rosie. I hired Megan to work at the shop in November, and her lovely childhood dog was visiting from Alberta. Rose loves being in the shop and getting to interact with the customers. She has been back to visit Fernwood a few times, and always accompanies Megan to work." We were getting a bit hungry so our next stop was the Fernwood Inn (1302 Gladstone). 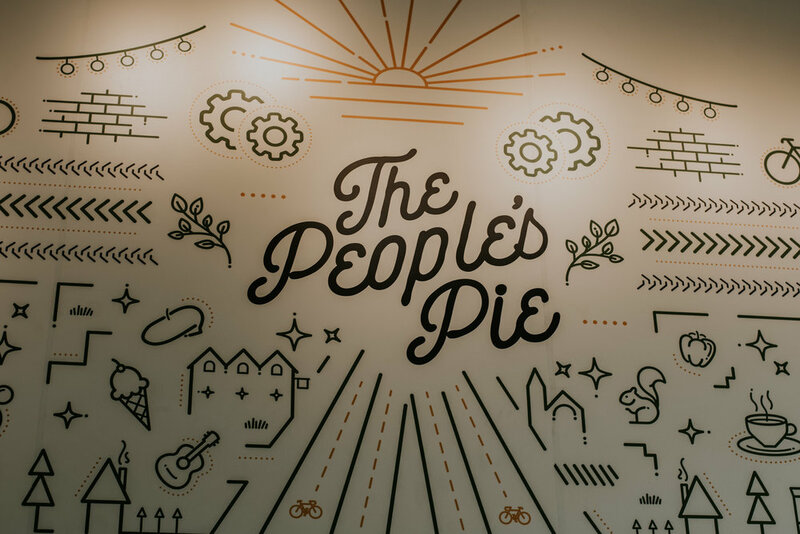 They have a great patio and great food! The perfect place for a mid-adventure snack! 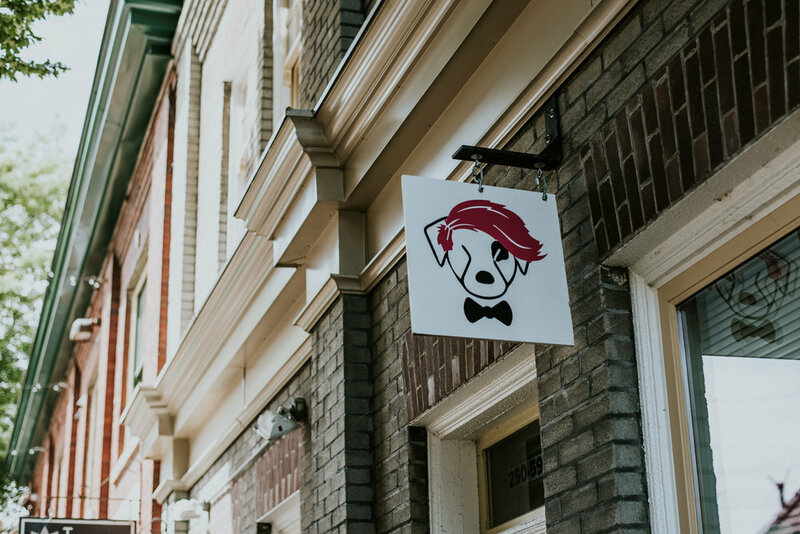 We chatted with the general manager, Mike, and he told us that pets are welcome on the patio! They just need to be on a short leash, be well behaved and happy to chill out under the table. It's a busy place with a lot of good food so that totally makes sense. Rupert was given a big bowl of cold water, an ear rub, and sat patiently for some yam fries. I have to say that I went there specifically for the chicken strips. They are so delicious (we also got the poutine!). We had a great time and enjoyed the sunshine! Visit www.studio1313.ca for more info! The next place we visited as the Fernwood Pizza Company. They are new on the street and delicious! They also have a nice dog friendly patio on the side of the building. We were still too full from our lunch to have another lunch (although I have done that before!) but I stopped in and got a slice to go to take home to my fella (he loved it and kept going on about the yummy crust!). I love that you can buy pizza by the slice there (and ice cream and beer!). Rupert was hoping that the pizza was for him but he'd have to wait until he got home to get a nibble. 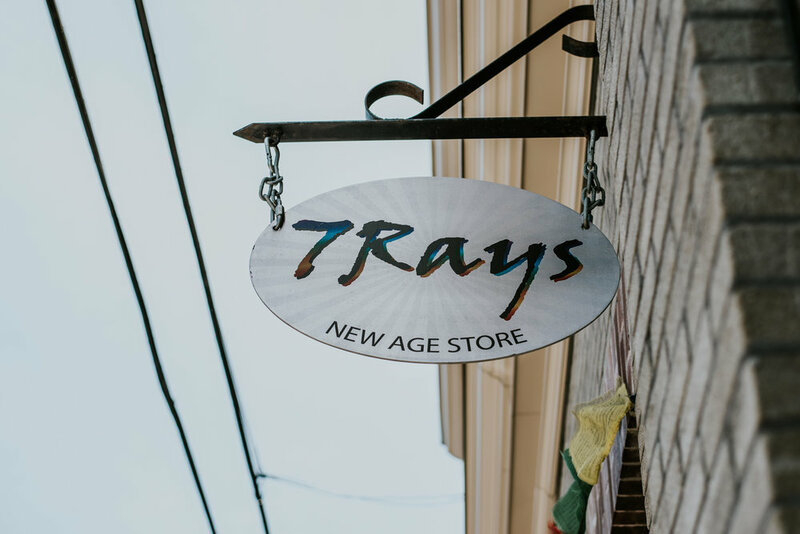 Our next stop was 7 Rays New Age Store. We had never visited this store before but were so happy we finally did! My mom was swooning over the wonderful scents and beautiful things! She got herself some birthday treats (scented oils and incense for her office) and we had a lovely chat with Atousa. She was incredibly knowledgeable, and obviously an animal lover. Rupert was a little shy at first but warmed up to her very quickly! Atousa told us about some of the animals that have visited the shop. There have been dogs, a parrot and even a ferret! "I’ve always been a pet and animal lover since i remember. 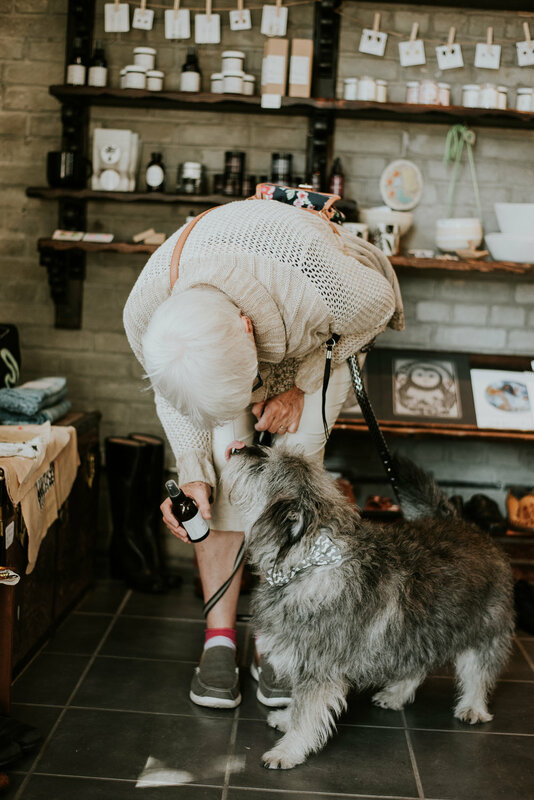 Healing vibes and good energy is what we share with everyone at our space and when customers visit us with their pets, they bring joy and laughter and that adds to all that healing vibes. " 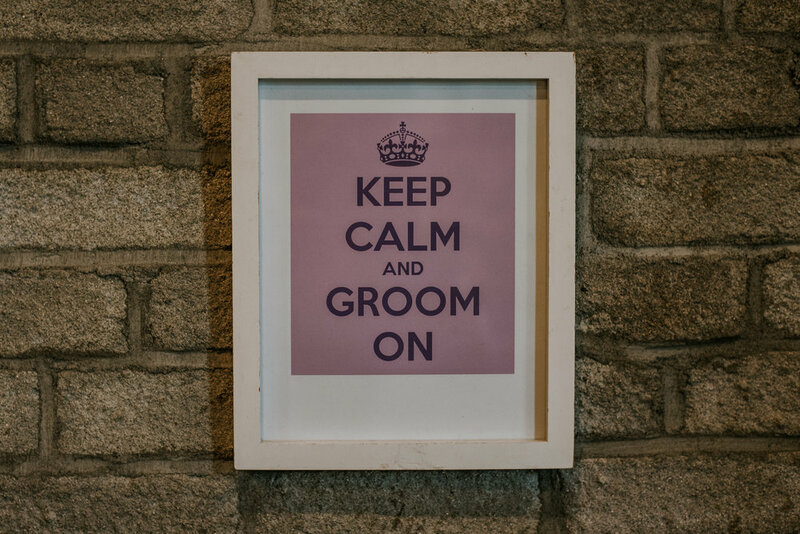 The final stop of our adventure was Graham Grooming, because you can't have a dog friendly afternoon without mentioning the dog groomer in the square. They were busy with pup clients when we stopped by but were nice enough to let me take a few photos while I was there. Rupert needs a nail trim so we'll have to pop back another time. We ended our journey with the 5 min walk home. 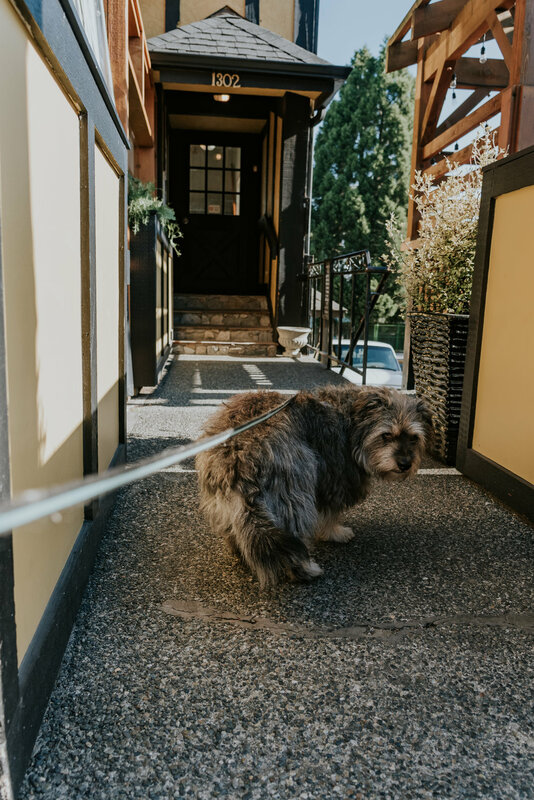 It's so nice to explore our local neighborhoods and so important to visit the shops that we might just pass by during the hustle and bustle of our days. It's also lovely to know how many places are pet friendly!